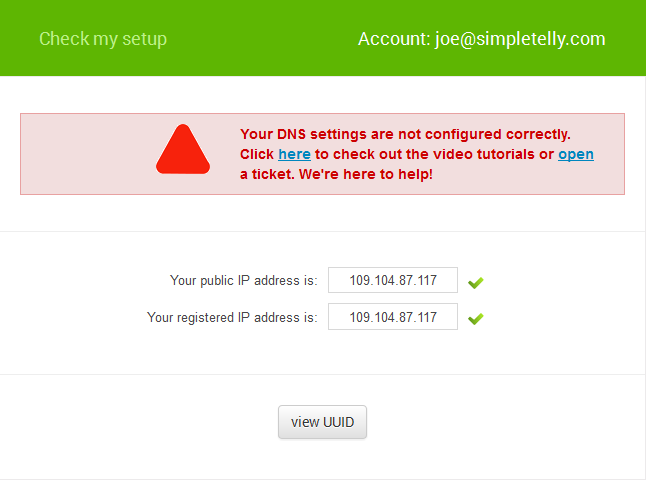 If you see this error, it simply means that your system is not yet configured to use our DNS servers. To rectify this, you will need to follow our setup instructions for whichever device you are using. Please take a look at the SimpleTelly setup instructions on the Supported Devices page and follow the instructions for your device. Don't forget, we are always here to help you, if you get stuck, send us an email or open a support ticket using the online form.